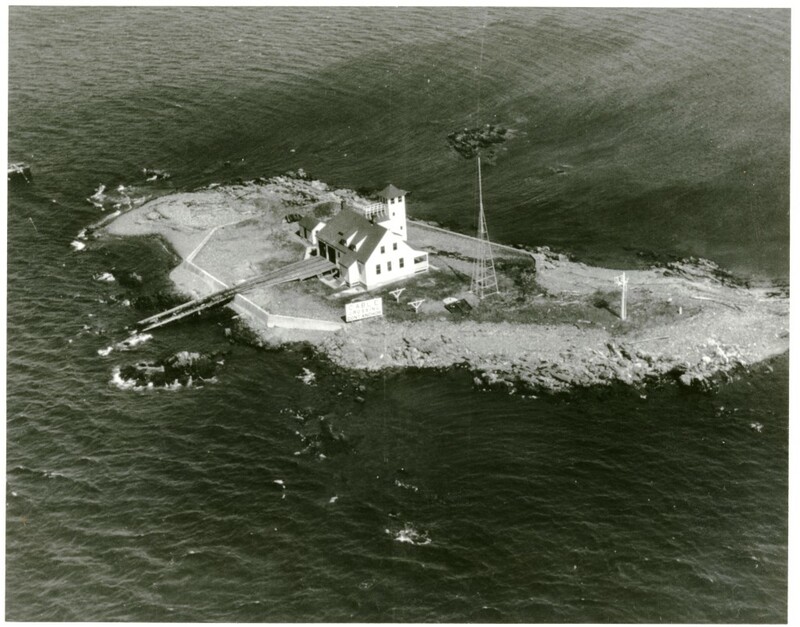 In 1827, the Maine State Legislature ceded Wood Island to the Federal Government. The U.S. Navy is reported to have constructed a barracks there around that time, however, an 1865 photo shows only a barren island. By 1889, a military hospital had been erected along with several outbuildings. Spanish-American War prisoners were quarantined there to prevent the spread of Yellow Fever. In 1908, the current Life Saving Station and a tool shed were built by Sugden Brothers of Portsmouth, N.H. for the US Life Saving Service. It’s a Duluth-style station designed by architect George R. Tolman and it replaced the original Jerry’s Point Station #12 across the harbor in New Castle, N.H. which had been requisitioned by the U.S. Navy. The U.S. Life Saving Service became part of the U.S. Coast Guard in 1915. Many lives had been lost over the years from ship wrecks on the rocky shore of Maine and New Hampshire and now a crew of men were in place to protect mariners. The US Navy took over the Wood Island Life Saving Station early in World War II to help protect submarine manufacturing at the Portsmouth Naval Shipyard from German U-Boats patrolling the Atlantic Coast. 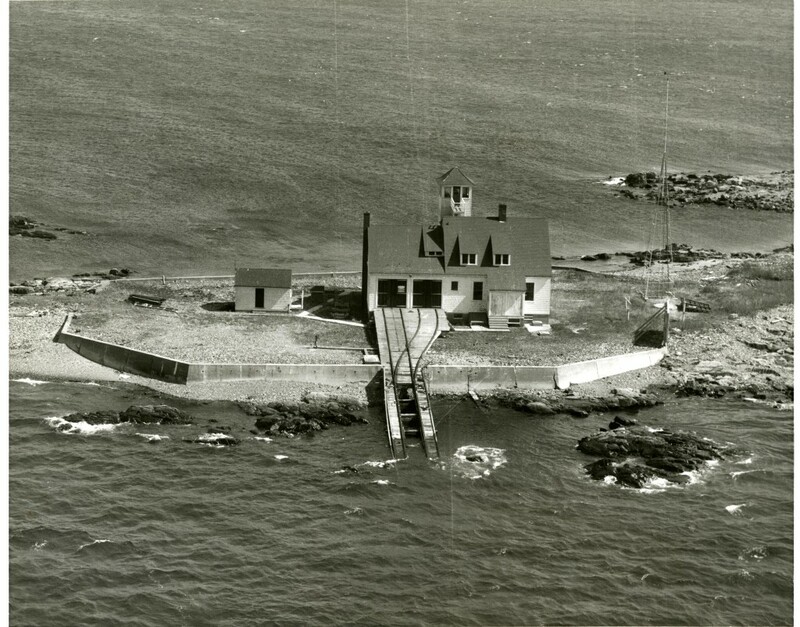 In 1941 Wood Island was integrated into the coastal defense system. As a strategic observation post, the property was also utilized for securing anti-submarine nets, which were strung across the harbor to thwart German U-Boat infiltration. At the end of the war, the property reverted back to the U.S. Coast Guard. In the early 1950’s U.S.C.G. 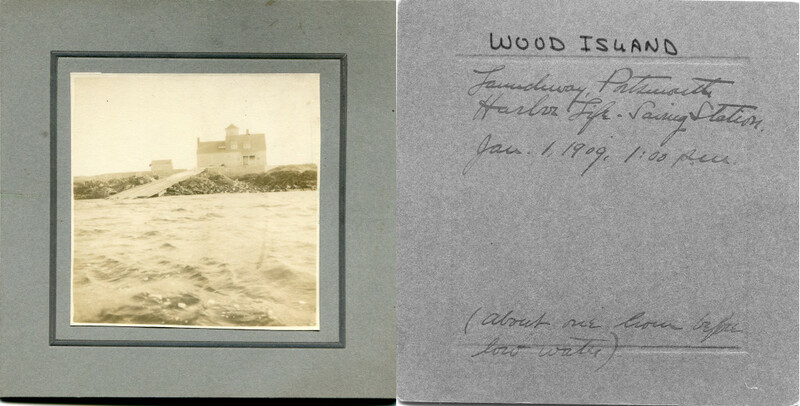 moved to their present day facility, across the harbor again, to New Castle, N.H. The Life Saving Station has been unused since that time. By 1955, the property had been declared surplus by the US Department of Transportation within which the U.S.C.G. belonged. The Department of the Interior took ownership from Transportation and in the early 1970’s, the Town of Kittery was offered stewardship of their former island property by way of President Nixon’s “Legacy of Parks Program”. In 1973, ownership was conveyed to the Town of Kittery from Interior with some deed restrictions remaining in Federal control. Those restrictions prevent selling or leasing the island and require the town to maintain a safe and assessable area for public recreation. Unfortunately, since the early 1970s, little had been done to preserve this historic site. Sadly, the Station had fallen into such disrepair that the Town of Kittery began to make plans in October of 2009 to have it demolished. This recommendation came from a Committee formed by the Town Council to examine what to do with Wood Island. Called the Wood Island Advisory Committee, they commissioned a Feasibility Study in 2008 that was undertaken by UNH students. The study proposed three options and the Committee recommended to Town Council that the structure be demolished and a replacement structure – a replica of the building – be constructed at a cost of more than $350,000. This large cost caused the Town to look for other alternatives to demolition even though the Town had no funds available to restore the structure itself. The Town’s Committee hosted some “listening sessions” and began to respond to some alternatives to demolition offered by citizens of Kittery. In September of 2011 the Committee had put aside a review into a private sector led restoration and advertised a Request for Proposals for non-profits interested in restoring and reusing the Station on behalf of Kittery. The Wood Island Life Saving Station Association was formed and was the only respondent to the RFP. Kittery Town Council selected the Association in March of 2012 to begin to draft contracts to undertake the restoration and put in place a concession agreement for the reuse in the years to come.